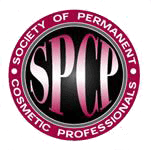 Heidi Carney is a nationally Certified Permanent Cosmetic Professional and an esteemed member of the Society of Permanent Cosmetic Professionals (SPCP). Extensively trained and thoroughly experienced, Heidi has amassed hundreds of procedures and just as many elated clients, building a significant following within the Atlanta Metro Area and beyond. A highly sought-after artist within the industry she’s devoted over two decades of her life to, Heidi found her home at the Practice in 2015 offering permanent lip and eye liner, laser resurfacing, facials and skin tightening, along with her specialty: microblading.